Google found a bit of an untapped market with their cheap yet efficient line of Chromebook devices. They're essentially stripped down laptops with limited storage that keep users locked into Google's app ecosystem. Rather, users operate within Chrome the vast majority of the time, downloading and using apps obtained from the Google Play Store. With most Chromebooks priced at $200 or less, it's not difficult to see why the devices have found a dedicated fanbase among writers, college students, educators and casual Internet users. Though Google has mostly operated without competition in this niche thus far, Microsoft is looking to change that. 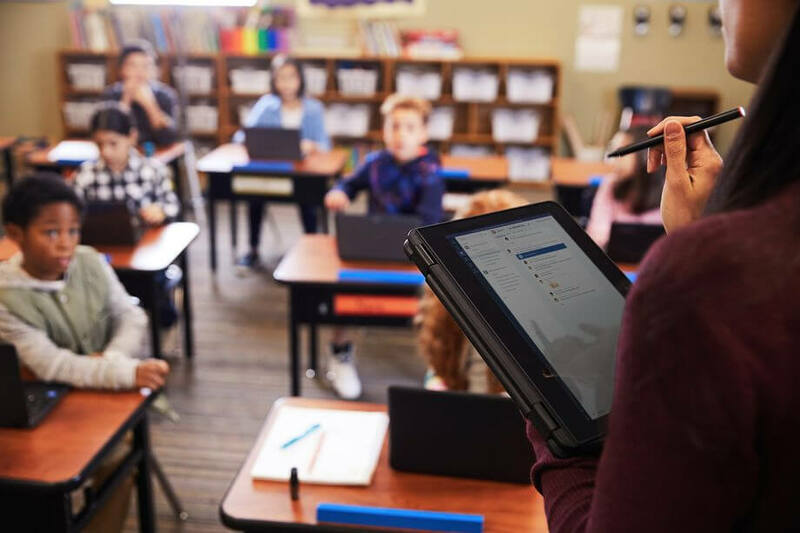 The software giant has unveiled a number of education-focused laptops at the Bett education show in London. One of these devices is the $189 Lenovo 100E which will include an Intel Apollo Lake Celeron CPU. In addition to the 100E, Microsoft says manufacturing partner JP will release two cheap laptop models of their own including the Classmate Leap T303 ($199) and the Trigono V401 ($299). Some of these devices will run full versions of Windows 10 while others will ship with Windows 10 S. The latter restricts users to using apps downloaded or purchased from the Microsoft Store, much like a Chromebook does with the Google Play Store. As interesting as these devices sound, it's unclear when you'll be able to get your hands on one as Microsoft and their partners haven't announced any release dates just yet.